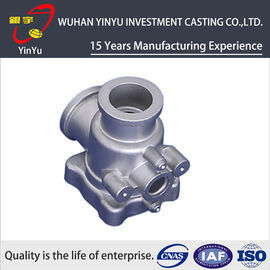 An industry's top engineering technical team , with special skills and rich experience in product design, casting ,heat treating and machining fields. Based on customer needs, in the beginning of product development, offer a solution, casting design, by structural component designed to casting parts, optimize the product design, then reduce costs and creating the best value for the customers. Special Techniques Enable QIANHAO to Be Competent with Those Difficulties at Wax Injection & Shell Making Procedures When Manufacturing the Parts with Inner-Sophisticated-Structures. Use casting simulation analysis system software 100% to ensure the success of the one-time trial sample. Our testing equipments are not only leading in the industry, and also has a very complete range, they are hardware guarantee to ensure us continue to provide high-quality products for our customers. 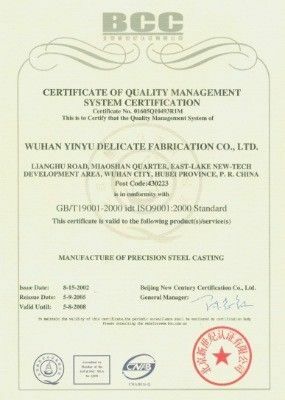 Carrying out ISO9001 and TS16949 quality management system, full implementation of 6S and Kanban site management, which is software guarantee of the quality. IQC, IPQC and FQC quality management team to control the whole production process, effectively prevent the generation of unqualified product. We sticks to the quality management philosophy that “Starting from the customer needs and ending with their satisfaction, focusing on customer demands andexceeding their expectations”. Can provide customers with good service, our staff have abundant commercialexperience, good language ability, and rich foundry or mechanical background. We are committed to providing customers with accurate, careful and speedy service. Quotation, Quality Complaints and Email Response get fast effective feedback within 48 hours. Machining capability as the same as casting, the machining facility is fully independent from the casting foundry and has an independentmanagement team and tailored business model to suit. it has completed a transformation and upgraded to a deep-processing manufacturer with expanded production capabilities and is committed to be equipped with other capabilities except casting, we focus on developing terminal products for top-end markets. 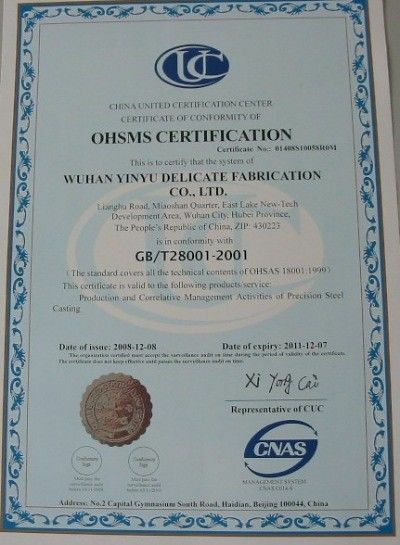 High technical content in machining, and casting with sheet metal, welding, assembling, QIANHAO has the most competitive advantage, it is the best choice for you.